Friends, Family, Hen-Dos, Stag-Dos, Corporate Team Building, Birthday Parties, Staff Perks/Rewards, Social Events, Club Outings...we've even had proposals in our rooms! 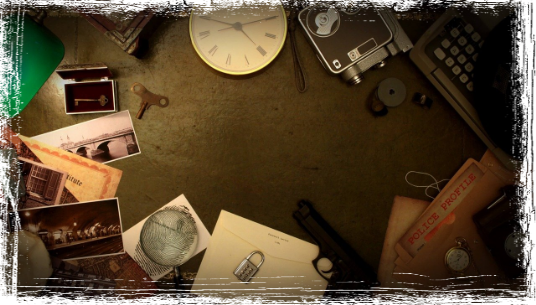 An Escape Room is a fun and exciting activity which involves searching a themed room to find clues and keys, solving puzzles, cracking codes, and achieving a goal to “Escape” the Room. You’ll have to work together to get everything done; there’s lots to do. A timer in each room will show you how long you have got left to complete your task. Each room has a specific task to complete to ‘escape’ the room, which may not involve exiting the room. Everything is a potential clue so you need a keen eye for detail and make sure you investigate everything, but be careful; somethings may mislead you. Use your sound judgement and creative analytical skills to spot the various clues, crack the codes and solve the puzzles. Do I need to book or can I just turn up? Pre-Booking is absolutely essential! We are unable to accommodate groups that arrive without a booked reservation. You can book at anytime up to 24 hours before the slot you wish to book. Do I need to be fit or strong? No! No physical skills or strength is required and the rooms can be undertaking by most individuals although the handling and manipulating of small objects is required. What happens if we get stuck? Our Games Supervisors will keep careful track of your progress and can give you pointers if you get stuck. You can ask for assistance but it is at the Games Supervisors discretion if and when to offer hints. Are the rooms scary? The games are designed to be atmospheric and create excitement and a feeling of adrenaline. Each room has its own rating for INTENSITY which can help you to choose a room most suitable for your preferences. Most of our rooms are not horror based and do not contain scary elements. The Motel Room and Old Hospital Room are designed to be creepy and do contain content that some participants may find disturbing. If you have any particular concerns please email us and we can offer further advice. Why are there age limits? All of our rooms will have either a "Recommended" lower age limit or a strict lower age limit. The recommended age is for guidance only, younger players are still welcome but some may not be able to fully engage with all of the puzzles. The strict lower age limit (for ages 18+) means the room contains some strong adult themes that are not suitable for persons under the age of 18. Can disabled persons take part? Everyone is welcome at Random-Rooms but please read our Access Statement for more information. There is step free access from street level to Reception and all games rooms. If you have any individual requirements or concerns please contact us at access@random-rooms.co.uk and we will do everything we can to adapt the rooms to suit your needs. Can I take photos or film the experience? Unfortunately we do not allow photography of filming as we need to keep our secrets safe! However, we will offer to take your photograph with our “We did it” sign using your own phone or camera. This is optional and free. What if I find the experience too intense of claustrophobic? We think it is highly unlikely that any of our customers won’t have a thoroughly enjoyable time. But in the unlikely event that you find it uncomfortable being in the room, or if the intensity of the game gets too much for you, you are welcome to leave the game at any time whilst the rest of your group continue playing. You may reenter the room whenever you are ready. You are NEVER actually locked in the room and the exit door is clearly marked. Are there any special effects such as flashing lights? Yes, some of our rooms use special effects such as sounds and lighting effects including occasional flickering or flashing lights. If you do not wish to have these special effects included please let your Game Supervisor know prior to the start of the game or, preferably, via email before the day of your booking. Can I come back again? We would love to see you again, but you probably won’t want to do the same room a second time. So why not try booking a different room, or keep an eye out for any new rooms...we constantly update and create new experiences. Can I play on my own or with a group size different to the recommendation? You are welcome to attempt the room on your own, although we think it is much better fun played as a group. Unfortunately we cannot accept more people that the recommended number for each room due to the room becoming too crowded. Are you Insured? Yes! We have a £1,000,000 public liability insurance policy, although our games are well crafted to be very safe, but it is good to have insurance just in case. What are the Terms and Conditions for booking or purchasing gift vouchers? We have a page detailing our full Terms and Conditions. You will also be reminded during the booking process that by making a booking or purchasing a gift voucher you agree to abide by our Terms and Conditions. Do you have pictures or videos of the rooms? No! An important part of the game experience is to walk into your puzzle room without a clue of what you will find. Can I have my personal information deleted? Yes! You have the right to be forgotten. When you make a booking, we ask you to provide your name, email address and telephone number. We may also process and securely store any photographs that you choose to send to us. You can email us at privacy@random-rooms.co.uk to have personal information that we hold deleted.